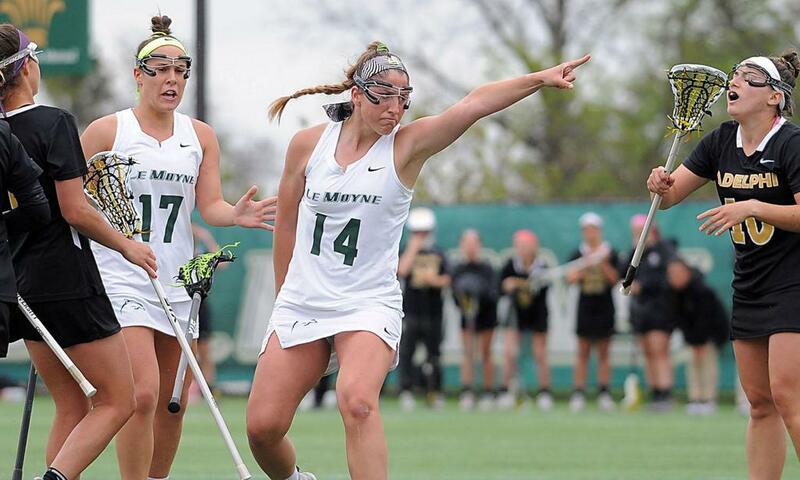 The IWLCA Division II Coaches Poll is once again topped by Le Moyne College (7-0) after the Dolphins collected all 25 first-place votes this week. Adelphi (7-0), Florida Southern (8-1), and West Chester (6-1) remained locked into the second through fourth slot and are joined by Rollins (9-0), who into the top-five for the first time this season. Lindenwood (9-0), Regis (9-0), East Stroudsburg (6-2), LIU Post (6-2), and Tampa (6-2) round out the top ten this week. Mount Olive (8-3) checks back in at #25 after dropping from the poll when they were tied at #24 the week of March 4. There are several Top-25 matchups on Wednesday, including #4 West Chester at East Stroudsburg (#8), top-ranked Le Moyne at #16 New Haven, #2 Adelphi at #15 Pace, and #3 Florida Southern at Tampa (#10). The weekend’s games to watch are #9 LIU Post at Adelphi, New Haven at #20 Assumption, and Mercyhurst (#24) at West Chester.